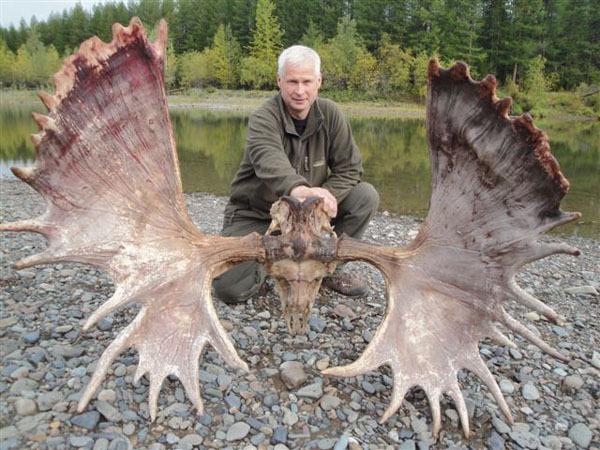 We organize this giant moose hunt in the best area in the whole of Russia, on river Omolon, between Chukotka, Kamchatka and Magadan, in the typical Siberian tundra. This are is considered one of the most remote and practically inaccessible without incurring very high cost and losing a lot of time. The outfitter that we are working with has solved this problem by organizing a charter flight with a large AN 26 plane departing from Magadan, reachable by regular commercial flights, and landing directly in Omolon village, on Omolon the homonymous river, after a two hour flight. The base camp of heated tents is reached by boat from Omolon village. 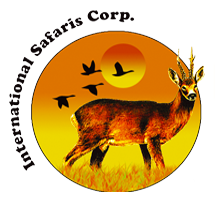 The hunt is organized having two hunter and two guides in one boat and moving along the river in a thirty kilometer radius from the base camp, or by mounting flying camps in predetermined areas for one or two days. The hunters search for moose with binoculars from the river or from surrounding hills, until an appropriate trophy has been located, when they close in on foot. There are two fixed departures from Magadan, on September 1 and 15, with return to Magadan on September 16 and 30. 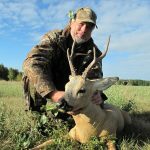 Each group foresees 6 – 8 hunters. The possibility of hunting with the assistance of a helicopter exists, but related costs are very high. During the stay one may hunt an additional moose, caribou, bear or Magadan show sheep. 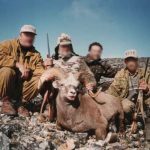 Charter flight from Magadan to Omolon and return, hunting organization with local guides, one English speaking interpreter per group, lodging and full board in tented camps without services, boat transport during the hunt, hunting licenses, first preparation of the trophies, one moose trophy fee. Air fares to Magadan, additional animals, visas, rifle import permits, hotels before and after the hunt, trophy transport to Magadan and to final destination, CITES permits, veterinary certificates and other export documentation, insurance, tips, drinks and personal extras.